Immerse yourself in a celebration of Mexican culture and ideas. 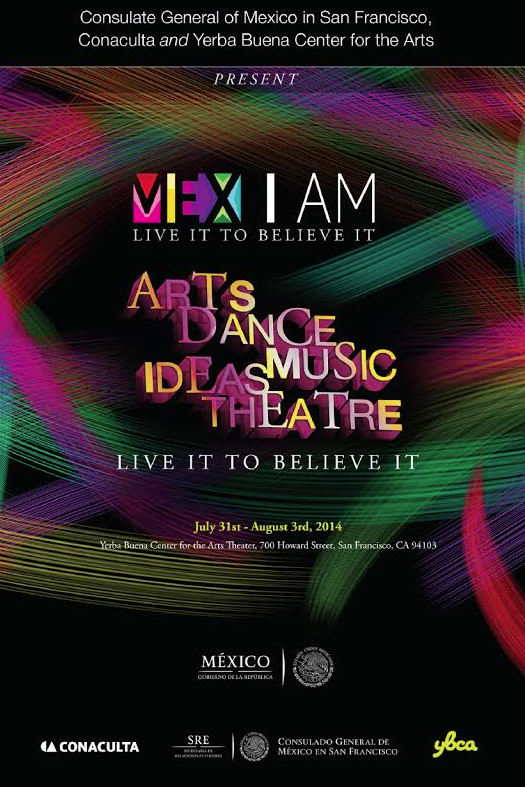 A three-day festival known as Mex-I-Am Live it to Believe It is taking place at the end of this month at the Yerba Buena Center for the Arts. It’s the first of its kind and will feature a wide array of music, ballet, and theater, but will also be a forum for ideas. The Mexican Consulate and Conaculta, the cultural institution promoting the festival, designed the forum to promote and expand the cultural greatness and influence of Mexico. Ideas are free, but you’ll still need to RSVP to secure a seat. Ideas: North & South of the Border will host a variety of musicians, humanists and scientists like José Hernández, the son of immigrant parents who grew up working in the fields of the Central Valley in California. Hernández earned a college degree in Electrical Engineering from the University of the Pacific and later obtained his masters from UC Santa Barbara. NASA selected him to become an astronaut in 2004, and he joined the crew of the Space Shuttle. Hernández also dabbled in politics, making a bid for a seat in the House of Representatives in 2012. Hernandéz will be presenting on August 1st at 5 p.m., along with Favianna Rodriguez, Ranulfo Romo, Rosario Marin, Horacio Franco and Diana Gameros. Gameros, a local musician originally from Juárez, Mexico, will be presenting Melodies of a Long Return. Gameros participated in the Mexican Consulate’s 2011 event Numina Femenina: Latin Women in the Arts. She will play a sample from her recently launched album Eterno Retorno. If her name rings a bell, it’s because she is a Mission District local, often playing at the Mission Mercado on 22nd and Bartlett on Thursdays and on the last Friday of every month at the Tamale Roosevelt parlor. The latter is a gig she’s managed to keep ever since she arrived to the City in 2008 with the intention of becoming a full-time and successful musician. In October of 2012, Gameros launched a Kickstarter campaign to fund the recording of Eterno Retorno. The campaign surpassed its $15,000 goal and the album was recorded and distributed successfully. Gameros said she is thrilled to participate in the Mex-I-Am festival because “it is important that people who live ‘on this side’ [of the border] have access to these types of cultural programs, not just to be able to learn and enrich ourselves but also to be up to date with the artistic movements sprouting in our country,” she said. According to Gameros, this is a great opportunity for Mexicans and people from other backgrounds to enjoy and “get closer to our country through art, culture and science”. For more info on the lineup, dates and how to get tickets click here.